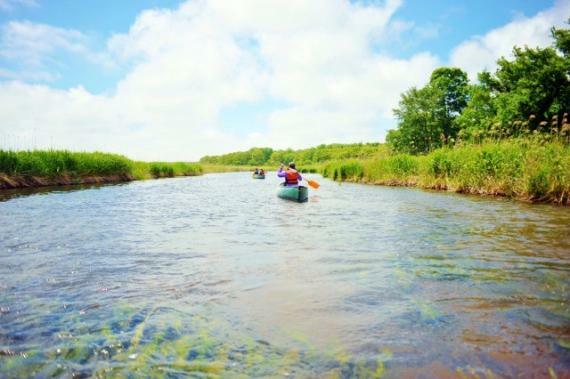 TOP Easy Canoe Touring on Chitose's Bibigawa River! Come Empty-Handed, No Experience Necessary (Free Pick Up & Drop Off From Chitose International Airport & South Chitose JR Station)! 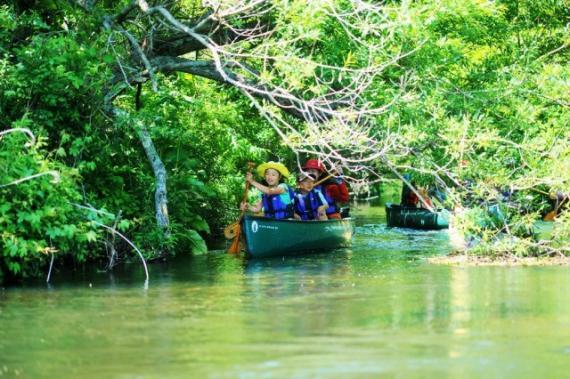 Easy Canoe Touring on Chitose's Bibigawa River! Come Empty-Handed, No Experience Necessary (Free Pick Up & Drop Off From Chitose International Airport & South Chitose JR Station)! 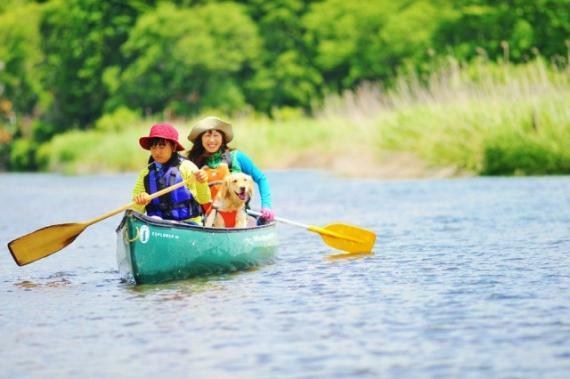 Come and enjoy an easy, safe adventure in Hokkaido's great outdoors in a Canadian canoe! Young children welcome! * Please choose your starting time. * If your desired time slot is not available, we might ask you to change the starting time. * Children as small as 3 years can usually ride, but it depends on whether they can sit still. * Your dog can ride with you if it can sit still; please be responsible for bringing life jacket for the dog on your own. * Children must be accompanied by adults. Activity and guide fee, accident insurance, equipment rental fee (Canadian canoe, paddle, life jacket, rain boots - if requested, rain suit - in the case of rain), pick up and drop off service fee, sales tax. Meet at the empty lot beside restaurant "Log House Bibi" located at 8-5 Misawa, Tomakomai City: On the left hand side after you cross Daini BiBi Bridge. * 60 mins driving from downtown Sapporo through highway. Please come over the spot 15 mins before your starting time. Free pick up and drop off service is available from New Chitose Airport　or Minami Chitose JR Station. Please specify the place at the time of booking if you would like this service. Please pay onsite by cash or credit card. * After a paddling lesson and instruction on the handling of the canoe, you will be free to go by yourself. If you would like for a guide to accompany, please consult. * You will be required to sign an agreement before participating in this tour. 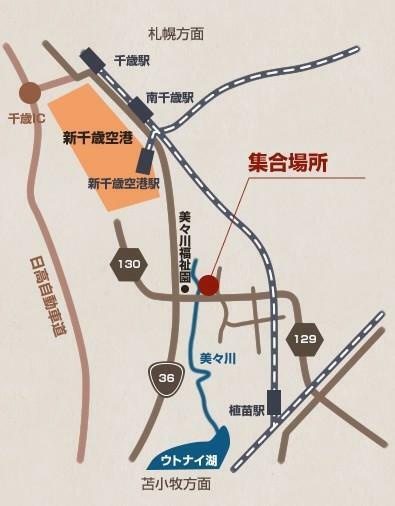 Only 10 minutes drive from Chitose International Airport! Even complete beginners are welcome to drop in!